What should I expect during medical testing? If you need to have medical testing we will perform a number of tests on the internal and external parts of your eyes using several different medical instruments. The purpose is to examine the retina, optic nerve, muscles, cornea, blood vessels, pupils, lens, iris, conjunctiva, eyelids and eyelashes. During this stage, the doctor will examine the interior of the eye. This procedure can detect vision problems like cataracts and glaucoma , as well as diabetes, high blood pressure and brain disorders. The doctor will also look at your eye muscles at this time, checking their ability to rotate and coordinate properly. Your eye doctor may decide to then dilate your eyes at this stage. When your eyes are dilated, your pupils enlarge, making them easier to examine. What should I bring to my medical testing appointment? To any doctors appointment, you should bring a current medical health insurance card and your copay. If your insurance requires referals to see a specialist, make sure you request a referral from your primary care physician at least 72 hours before your scheduled appointment. 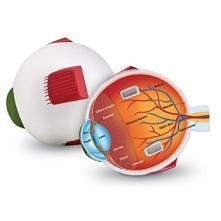 These pictures are necessary to document the health of the optic nerve, vitreous, macula, retina and its blood vessels. The photographs are used for comparison, documentation, and sometimes to diagnose certain eye conditions.Because fundus photography is a highly specialized form of medical imaging, it can't be done with an ordinary camera. It requires a customized camera that is mounted to a microscope with intricate lenses and mirrors. These high-powered lenses are designed so the photographer can visualize the back of the eye by focusing light through the cornea, pupil and lens. A visual field test can detect central and peripheral (side) vision problems caused by glaucoma, stroke and other eye or brain problems. Visual field testing actually maps the visual fields of each eye individually. The HRT or Heidelberg Retinal Tomograph is a state-of-the art diagnostic device used in the diagnosis and management of glaucoma. It is able to produce a 3-dimensional image of the optic nerve, thus allowing a more accurate assessment of change or damage due to glaucoma.